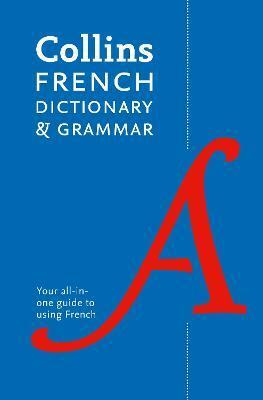 An up-to-date easy-reference French to English and English to French Collins dictionary and a user-friendly grammar guide in one handy volume. A clear layout, cultural notes and an easy-to-use, revised grammar section make this the ideal French reference for intermediate learners. Designed for all intermediate learners of French, whether at school, at home, or for business. 96,000 references and 120,000 translations will help those learning French take their language skills to the next level. * This edition has been revised and updated to offer extensive and relevant coverage of today's English and French, with thousands of phrases and examples guiding the user to the most appropriate translation. * A comprehensive grammar guide presents detailed examples and translations to help users to understand French grammar - the perfect complement to the dictionary.